Perfect for any occasion! Does someone you know have a special occasion coming up? Maybe you just want to make someone smile, just because... 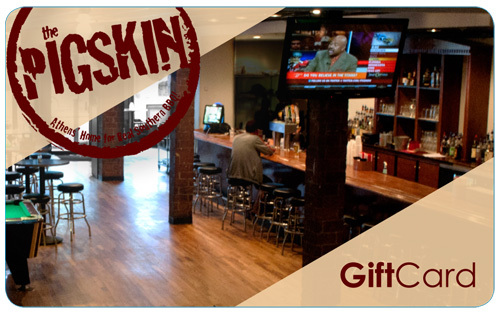 Treat someone special to a wonderful meal at The Pigskin Bar and Grille!